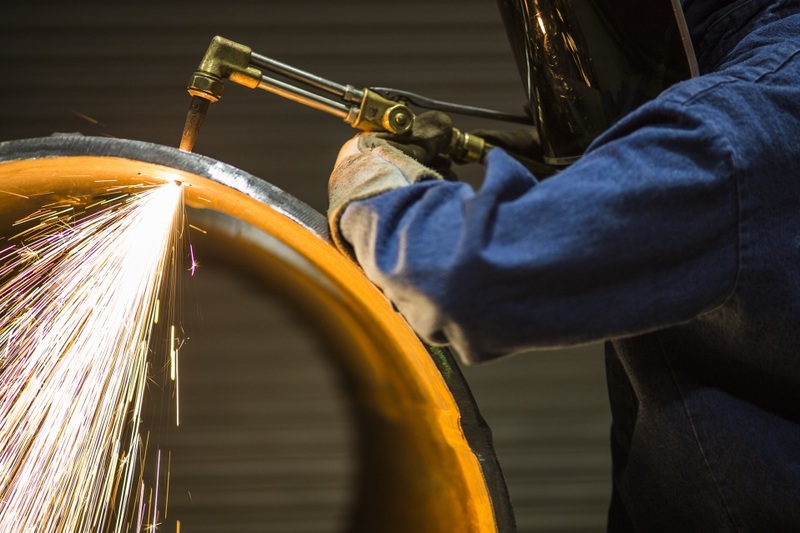 BWFS Industries LLC provides complete welding and steel fabrication services on ASME Division 1 & 2 pressure vessels and piping in mild steel, stainless, duplex and several alloy steels. Additional welding and steel fabrication services are available for structural items such as skids, platforms and a multitude of custom and engineered products. We utilize two plate rolls, one of which can roll up to 1 3/8” thick by 12 feet wide pressure vessel quality plate. To further expand our capabilities, we have an advanced 5 axis plasma plate cutting machine, robotic welding, CNC cutting machines, as well as automated welding and cutting equipment. For more details on all of our services please visit our services page. 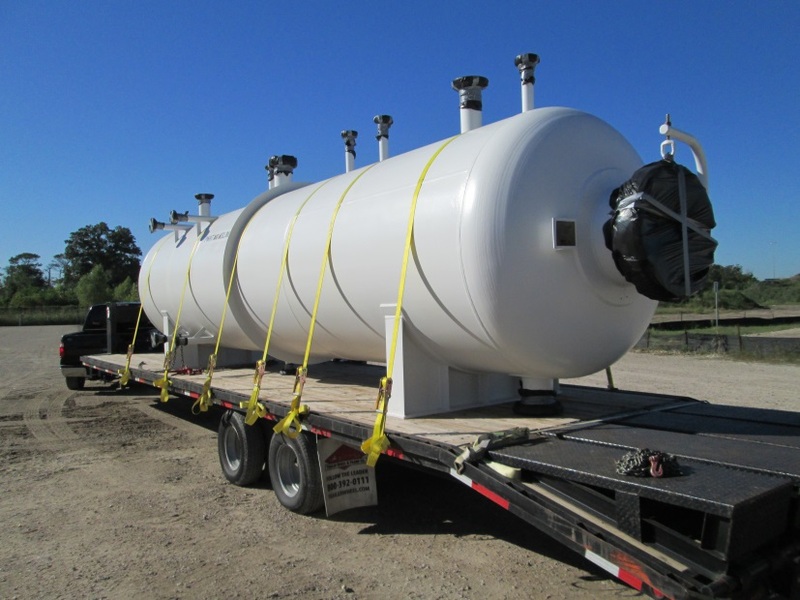 BWFS Industries LLC has been a leader in providing quality pressure vessels for the Oil & Gas Industry, Offshore, Onshore, Gas Processing and Refineries for over 20 years. With over 14,000 registered pressure vessels built & located all over the world, BWFS Industries has become an approved vendor to almost all of the major oil and gas companies of the world. For more than 20 years BWFS Industries, LLC has earned the reputation of building quality pressure vessels. To support that reputation the company has expanded and developed the engineering and design group to include a staff that is experienced in drafting using AutoCad, 3D modeling using ProE Wildfire, and finite element analysis using ANSYS FEA software. Along with a professional engineer on staff, BWFS Industries, LLC has become a very capable design company for all your vessel designs as well as structural, piping and packaging needs. Click on an image for more information on our Engineering & Design. To ensure quality, traceability, and delivery times of cut plate components, BWFS Industries, LLC invested in a Koike Versagraph plasma plate cutting machine. With the ability to control the cutting head in 5 axis allows for normal straight cut as well as beveled cut in both straight and curved cuts. Using high definition plasma and repeatability measured in thousandths of an inch, quality is excellent. This machine also has the ability to etch heat numbers and parts numbers using a low voltage plasma torch. This enables us to etch all cut pieces with markings prior to cutting to ensure 100% traceability back to the original plate. For more information on our 5-Axis Plate Cutting visit our 5-Axis Cutting page. In order to provide quicker deliveries and to complement our plate cutting, BWFS Industries, LLC has two plate rolls, one of which is capable of rolling up to 1 3/8 thick by 12 foot wide pressure vessel grade plate. With a constant inventory of plate on hand, shells can be cut and rolled within days versus 2-3 weeks. BWFS Industries, LLC has purchased over a million pounds of plate in a single year. For more information on our Plate Rolling click the image. BWFS Industries LLC can provide stress relieving for those projects requiring post weld heat treatment. By having our own stress relieving oven on-site, BWFS Industries LLC eliminates trucking costs, delays in sub-vendors, and allows us to control the handling and quality of the work. BWFS Industries has a dedicated company that has the capabilities to provide the painting services and quality that are required for projects going offshore or onshore. A staff that includes certified NACE inspectors and experienced applicators means the paint systems meet the demands of the project. With over 20 years of fabricating ASME Code vessels and over 10,000 vessels in use around the world, BWFS Industries LLC provides the top quality fabrication products and fabricating services our clients need at a price that is highly competitive. Our fabrication shop has the capacity to lift & handle vessels 15 feet in diameter & up to 100 tons. ©2009-11 All Rights Reserved. • BWFS Industries LLC. This page has been enhanced for search engine optimization by SEO WEB SERVICES.